March 25, 2019 – Santa Monica, California. Automotive Defense Specialists, led by attorney William Ferreira and focused on defending smog or STAR Program station owners and technicians against the California Bureau of Automotive Repair, is proud to announce an innovative blog post for the lay public on citations by the Bureau. Citations can be quite frightening to the average technician or repair station owner, as the ability to issue smog certificates may the the lifeline of their business. As every vehicle in California is required to get “smogged,” industry volumes make it imperative that hard-working technicians and station owners are not unduly hassled by overzealous government regulators. Indeed, as the post explains, a Bureau of Automotive Repair citation can cost more in money and time than other types of common citations like parking tickets. Missing a court date or managing an appeal alone could be detrimental to a thriving SMOG business. Persons in the smog testing industry can review the new blog post at https://automotivedefense.com/2019/03/07/the-heartbreaking-truth-about-a-bureau-of-automotive-repair-citation/. To learn more about smog testing citation cases, please visit the Automotive Defense Specialists page at https://automotivedefense.com/about/services/bureau-of-automotive-repair-citation-defense-cases/. 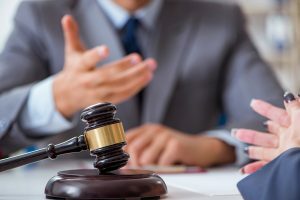 Industry participants who need a good defense attorney can take the next step of reaching out for an attorney consultation. Here is the background for this release. Common citations for car infractions, including parking tickets, are not equal to a Bureau of Automotive Repair citation. Accusations from the Bureau of Automotive Repair can result in removal of a SMOG certification. The familiar quote that “time is money” can apply to both customers and technicians at smog testing shops. Daily calendars may be a key component to running a successful SMOG testing business. A well-managed calendar and thorough smog inspection can help customers move through the process quickly and get back to work. Prompt smog technicians can support more customers and keep an auto shop successful. Auto shop owners can apply the same practice for fighting a Bureau of Automotive Repair citation. Strict management of court dates and support from legal experts can help save a SMOG certified business. An accusation letter from the Bureau of Automotive Repair may not result in a simple fine. Unlike citations for infractions such as parking tickets, the outcome for smog citations can include losing a STAR certificate or the ability to smog vehicles in California, from San Diego to Eureka. To properly prepare for a Bureau of Automotive Repair citation, auto shop owners might need to maintain a strict calendar. The new post notes an expert legal team combined with a prompt schedule could be the answer to a successful outcome. For these reasons, Automotive Defense Specialists has announced a new blog post about preparing for a smog citation in court. Automotive Defense Specialists (https://automotivedefense.com/) is a top law firm representing auto repair facilities, SMOG check stations, and technicians in every facet of their legal needs including Bureau of Automotive Repair letters, citations, and invalidations. The company offers phone consultations to auto shops, mechanics, technicians and others who are facing disciplinary actions from the California Bureau of Automotive Repair.